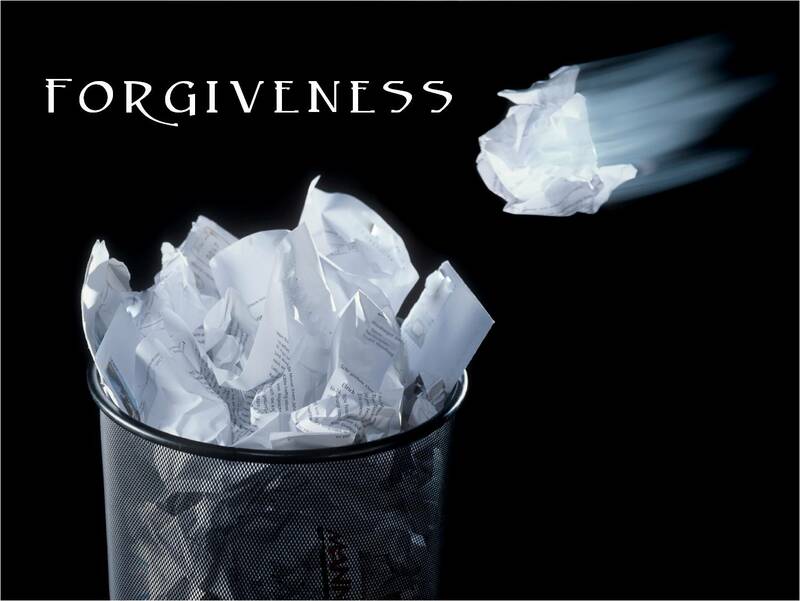 There are a few stumbling blocks when considering forgiveness. One is feeling that if they forgive they are in some way condoning wrong actions. Another is the finality of it and releasing the hope of ever righting the wrong or getting retribution. Another is letting go of the wish of finally getting what they always wanted. Still another is the implication that forgiving means that they wish to continue having a relationship with the person they’re forgiving. But forgiving someone who has hurt us doesn’t necessarily mean we want to continue a relationship with him or her. Forgiveness is not a one-time event, and it doesn’t mean we relinquish our right to continued feelings about an issue. Some people feel that if they forgive they have to eradicate any residual feelings of hurt and anger or they haven’t really forgiven, but this isn’t necessarily true. Forgiveness typically plays out as a wish or a need to place a particular issue into a different internal context – moving something from the foreground to the background. Those who consider forgiveness as part of their healing process are coming to terms with all of these issues and recognizing that they want inner peace more than a grudge to nurse. They are seeking forgiveness to free themselves and to have God restore their equilibrium and sense of joy that had been stolen from them. It is also a statement about where they are in their own healing process. Sinful behaviors are often attempts at running from our own inner turbulence, misguided attempts at quieting the inner storm. The storm is often about feeling hurt by others or hurting others through our own behavior. The two are intertwined, feeding off of an fueling each other. Asking for or granting forgiveness offers a way out, a way to make an attempt at restitution, to restore peace. We humans seem to pass through a predictable set of stages before forgiveness occurs much as in the grief process. This is not intended to be a programmatic response to manage hurt and forgiveness. These stages are meant to only suggest a process and make it a workable one, to provide a framework. They may be experienced in a different order, leapfrogged or some skipped entirely depending on the severity of the issue and the person involved. Also, the goal is not to get rid of feelings like anger or sadness but to experience them and integrate them into a greater understanding and insight and through doing so moderate them and reframe the issues at hand. Once people understand that they are hurting themselves by nursing resentments and undermining God’s healing, then reframing has begun. Waking Up. We realize we’re holding onto something that’s hurting us maybe even more that the other person, or that we need to forgive ourselves for something and stop beating ourselves up on the inside. Anger and Resentment. We’re hurt and angry. We resent the other person because we see him or her as being the cause of our pain. Sadness and Hurt. We’re in pain. We feel wronged or wounded, and we’re probably also worrying that we did something wrong that we don’t quite understand. Integration, Reorganization. We feel and experience split-off emotions associated with internal blocks and place them into a new context. We reintegrate them into ourselves with new awareness and insight. Reinvestment. The process of forgiving and working through blocked emotion frees up energy that can be reinvested into improving relationships with God, others, and life.